I am LOVING this new series by Amy Clipston. It seems everywhere I look lately, there’s another story about something that spans time . . . family . . . even strangers – to bring people together. Amy Clipston has a singular talent for writing a wide array of exceptional romance stories . . . from the forbidden to the sweet & simple. 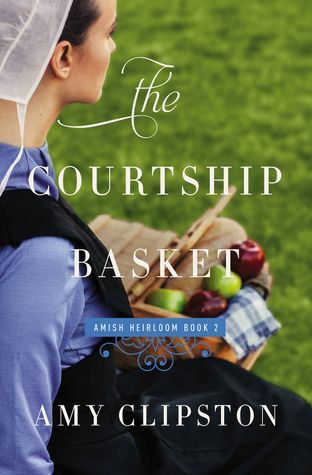 The Courtship Basket is one such romance. Our story focuses on a special basket that brings a happy ever after to at least one couple – maybe more . . .
With her parents’ old picnic basket, Rachel begins sending food to the Lantz family. As the weeks go by, John’s grades start to improve, and the attraction grows between Rachel and Mike. They can’t deny that their friendship is growing toward something more, but both of them are hesitant to risk a more serious relationship. The last thing Rachel wants is another heartbreak, and Mike is worried about providing for his loved ones. Will the two be able to reconcile their past hurts with new hope for the future? You can learn more about Amy Clipston and her novels HERE!